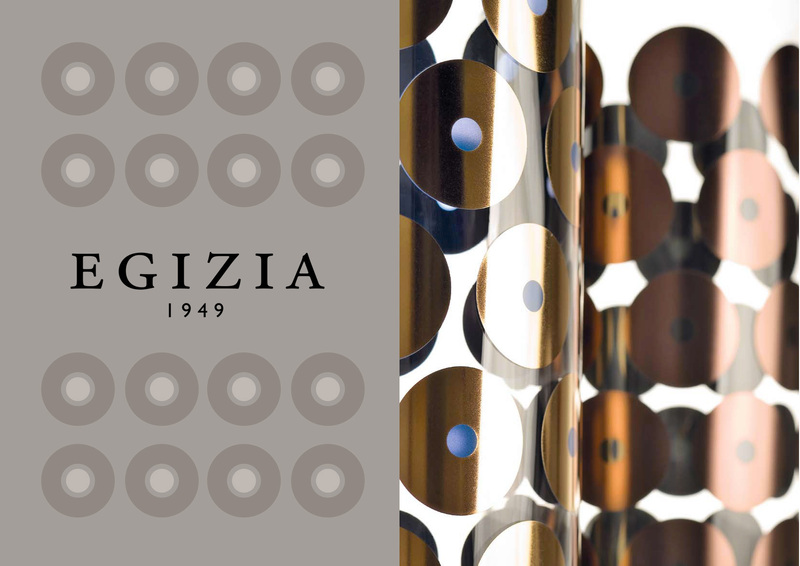 In 2019 Egizia celebrates its 70th anniversary. In this long period, Egizia has been the interpreter of the manual silk screen printing glass history in Italy. Collaborations with Italian designers and international artists have allowed the company to grow and gain recognition from the world of culture, the press and the market. The production is a synthesis of genius and hand-crafted skill. Currently the responsibility to carry on the challenge of this company passes to Chiara Merlo. She looks toward the world of excellence and luxury as a reference point and to reach the desired standards she relies on the creativity and the competence of the Design department, the new future collaborations with the most famous designers and the experience of the production department. Now the company follows two parallel paths: the quality and the innovation. Selected raw materials and the quality control process assure the creation of unique and inimitable items. Innovation and digitalization bring added value in terms of organization to approach better the market. 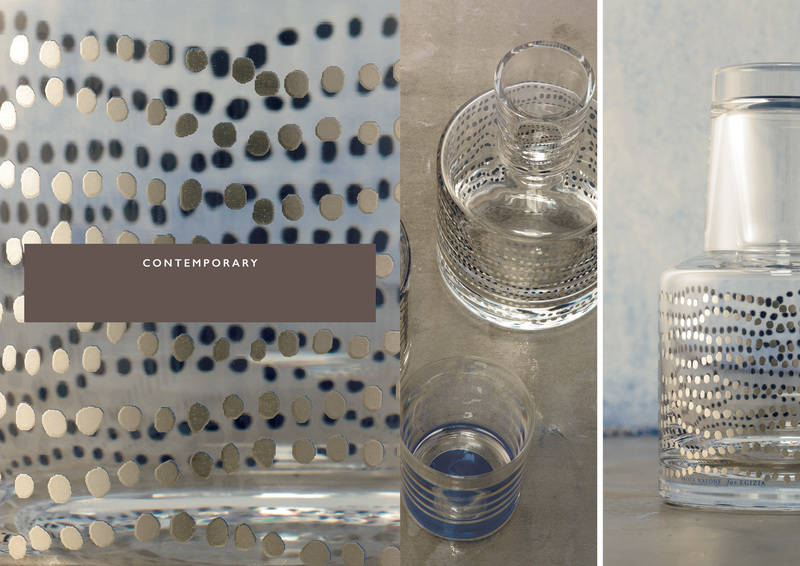 Over the years, the meeting with some of the most famous world-wide designers (Sottsass, Karim Rashid, Paola Navone) has created collections with unique characteristics. That helped to raise Egizia awareness beyond national borders. The objects conceived from these collaborations have a high and authentic identity and they represent the beginning of the new course of EGIZIA ‘s proposal to approach the luxury lifestyle market. All the collections are made of silk-screened glass using precious metals as Sterling Silver, 24 Carat Gold, Platinum and Copper. Also enamel paint is used to create patterns from classic to modern, from geometric to baroque style. The objects that are decorated are glasses, plates, trays, bowls, conic and cylindrical vases. 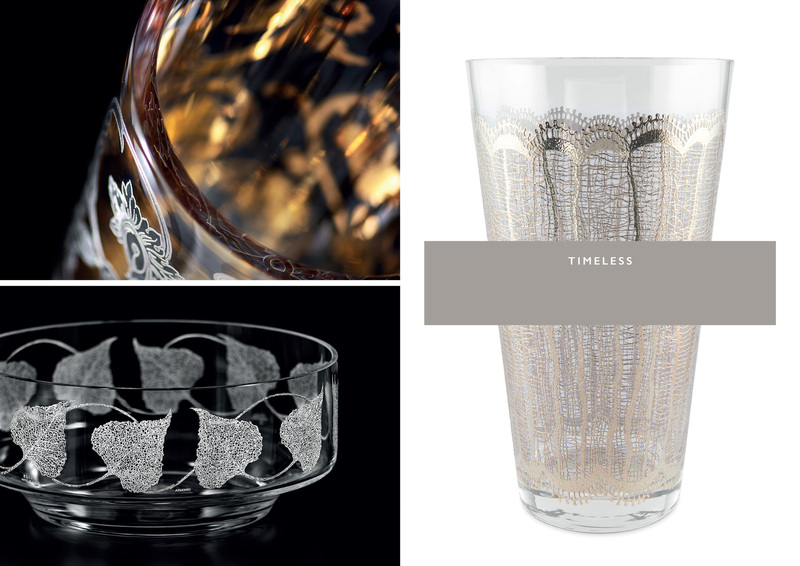 Thanks to the high-temperature of the kiln up to 560 Celcius degrees, the printed precious metals fuse with the glass. Every item is certified and quality-guaranteed by Egizia. Gathers all the articles that -by size, shape, design and preciousness of the materials- are ready to dialogue with the universal language of luxury. It expresses the desire to change the point of view and think outside the box: new distribution channels to conquer new fields. Concentrates the classic taste of the proposals, distinguishing Egizia as leader in the retail market. The distribution continues with the traditional channels that have always allowed to bring home the classic taste of timeless decorations..